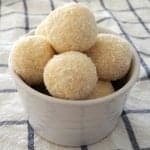 These 3 Ingredient White Chocolate Tim Tam Balls make the perfect sweet treat, dessert or homemade gift! 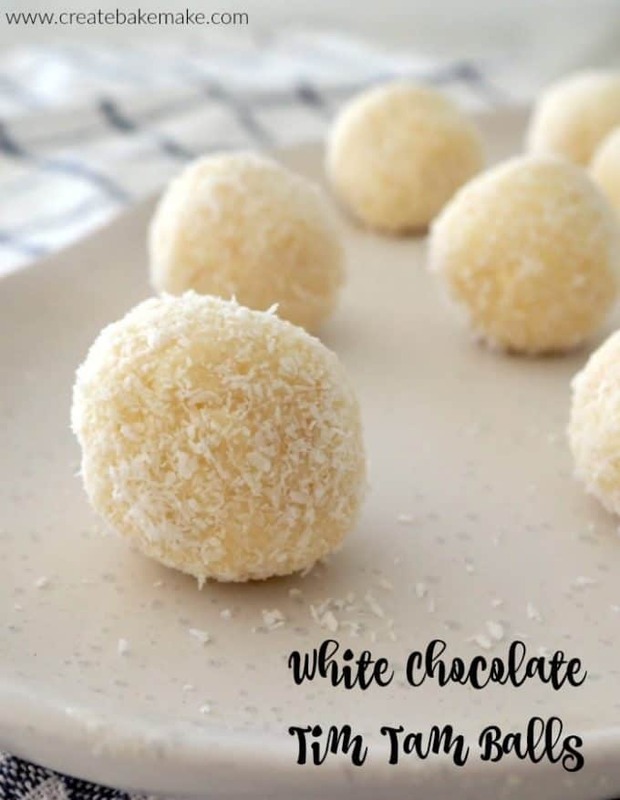 So I know I seem to say it all the time, but these 3 Ingredient White Chocolate Tim Tam Balls really are incredibly easy to make. I’ve been making a ‘traditional’ Tim Tam version of this recipe for years and I couldn’t resist trying it with White Chocolate Tim Tams instead, and oh my goodness they are amazing. These little balls of deliciousness (totally a word!) are certainly a ‘sometimes’ food thanks to being made up solely of Tim Tams, condensed milk and coconut, however they are totally worth splurging on. The boys were quite keen to help me roll the mixture into balls, however as it was a 30+ degree day, our mixture was a little soft and by the time I had taken it back out of the fridge to use, they had moved onto ‘helping’ their Dad in the garden (aka hacking at plants with their little shovels from the sand pit) and I was left to do this messy (buy yummy!) job all on my own. I used a tablespoon to roll my mixture into balls, however you really can make these any size you like, however the number you make will obviously be impacted by this. It’s also really important to let the mixture chill in the fridge for half an hour or so before you try rolling it into balls, as if you skip this step, the balls will not hold their shape and they will start to flatten out immediately. Along with making a fabulous treat for yourself, these are also a dessert or birthday party treat. 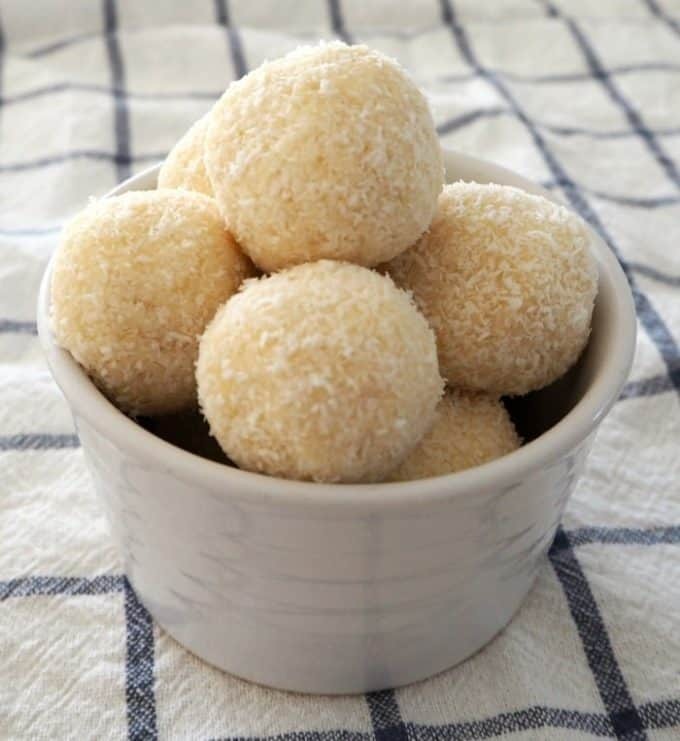 These 3 Ingredient White Chocolate Tim Tam Balls are an easy dessert, snack or homemade gift. They take no time at all to make and will become a family favourite. Thermomix instructions also included. 1 3/4 cup 160g of desiccated coconut + extra 1 cup to roll the Tim Tam Balls in. Place the White Chocolate Tim Tams into a food processor and blitz until they have broken into small crumbs. Add the desiccated coconut and sweetened condensed milk and process until the mixture comes together and the ingredients have combined. Place the mixture into the fridge to firm for 30 minutes. In the meantime, place the extra coconut into a clean bowl. Use a tablespoon to scoop up the chilled mixture and roll into balls. Toss the balls in the extra coconut to coat and place into a air tight container. Repeat until you have used all of the mixture. To ensure the White Chocolate Tim Tam Balls keep a nice round shape, I like to chill the mixture in the fridge for 30 minutes before rolling into balls. 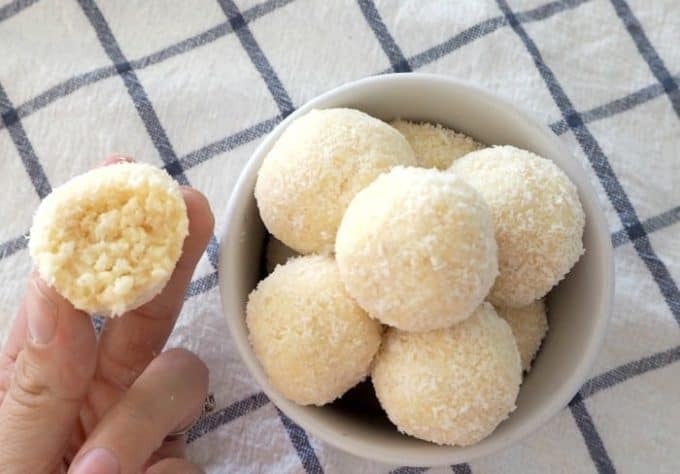 These White Chocolate Tim Tam Balls are best stored in an airtight container in the fridge. Place the White Chocolate Tim Tams into your Thermomix Bowl and use the 1 sec turbo function three times to blitz into crumbs -please note the time it takes to blitz your Tim Tams into crumbs may vary depending on the temperature of the Tim Tam biscuits. Add 160g of desiccated coconut and the sweetened condensed milk to your Thermomix bowl and mix for 10 seconds, speed 5. Scrape down the sides of the bowl and mix for a further 5 seconds, speed 5 or until the mixture has combined. Place the Thermomix bowl into the fridge to allow the mixture to firm for 30 minutes. In the meantime, place the extra coconut into a small bowl. 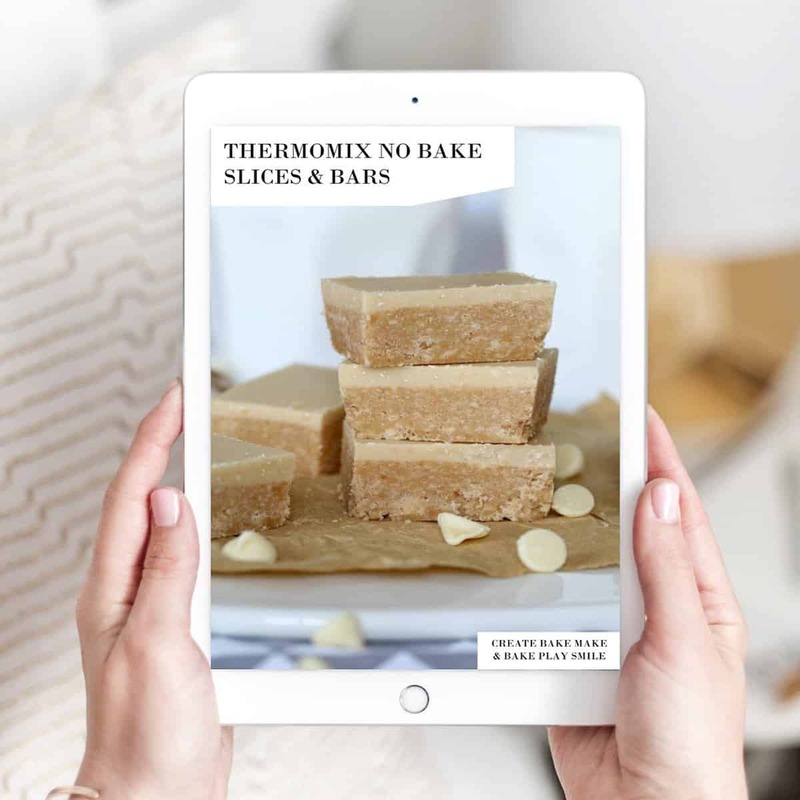 For more no bake slice recipes, check out our ‘No Bake Bars and Slices‘ eBook (Thermomix version available here). You can browse the entire range of eBooks here. Yum! I bet these taste divine. Oh this looks so cute, hope they taste good as it looks! !